#Wearyourwardrobe: what’s it got to do with modern slavery? 11h00 pm, January, sales. I am about to press the pay button for a new pair of boots. Anyone that knows me will know that shoes are just one of the things that I am victim to in the fashion world. Not a lot of money this pair (well compared to the full price). Nice. Tan. Leather. Shall I? The thing is that the cost of the shoes are more than it will cost to educate a child in Northern India for a year. Don’t ‘switch off at this point. Every year many of us set ourselves challenges for LENT, for New Year resolutions, or just to ‘grow’. I have friend working in Assam, Northern India, to prevent human trafficking in her area. 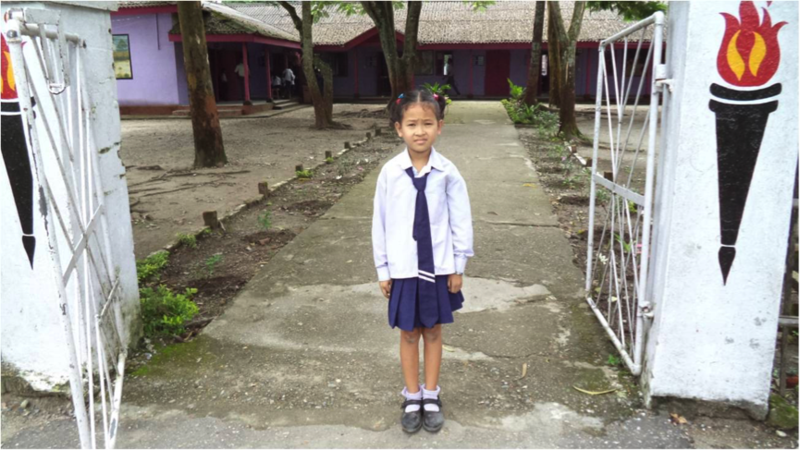 The picture of this little girl is just one of the many stories that she can share. 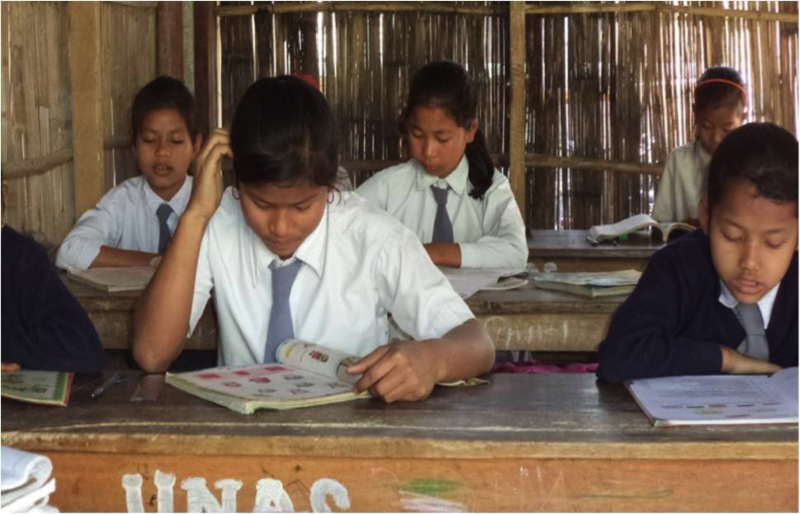 Rescued from her abusive father who tried to sell her into trafficking she now has a chance through the work of Pratihba and her community to be educated. To be free from slavery. To fulfill her potential. So back to the boots. Maybe I wont buy them after all. I have decided to set myself a pre Lent and Lent challenge: not to buy ANY shoes or clothes (not new, not second hand) until Easter Sunday. And with some of the money I might have saved, donate it to the Baptist Christian Hospital in Assam (where Pratihba works) to help with their work on anti human trafficking. The work they are doing is impacting this community directly. Faudar (pictured above) was sold for £20 pounds, rescued and is now in 6th grade. They also have a cycle scheme. 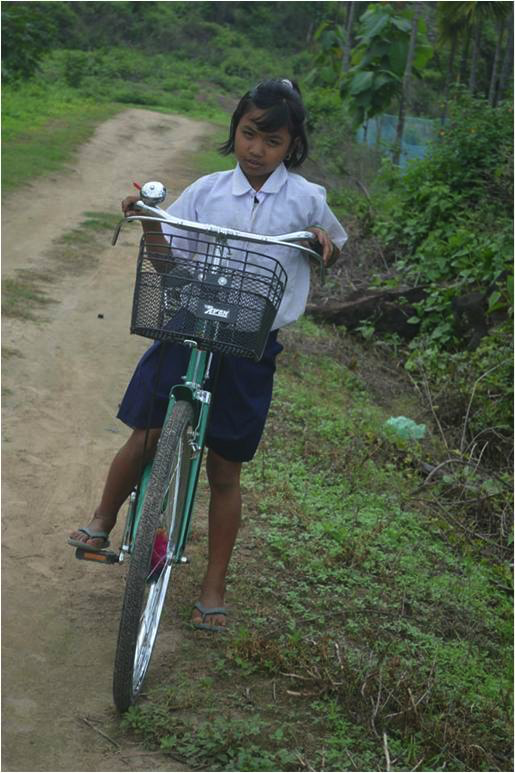 A bike costs £40 and helps girls to stay in school and protect them from trafficking. (For those of you that don’t know. There are over 30 million slaves in the world today. As it’s a hidden crime it’s likely that these numbers don’t even reflect the full scale of the problem). There is a role for each one of us to play. We are exploring what this means at our modern slavery garden meetings (seewww.modernslaverygarden.com). A friend from the team reminded me that looking beyond the first year of sponsorship was key. So if I can raise £150, this year, can I do it next year too? Working out how to raise £150 this year ( if you don’t buy boots) , it’s £12.50 a month to ensure one child is safe. To keep them in school for 2 years will cost £25 a month. That’s not half the price yet of the sale boots I was about to buy. Home • News & Insights • Modern Day Slavery • #Wearyourwardrobe: what’s it got to do with modern slavery?